Specialisations – Receive early access to six Specialisations, available at launch on Xbox LIVE, to achieve higher ranks in your Spartan career. In addition to gaining access to new ranks, Specialisations unlock new customisation options. Purchasers of the “Halo 4″ Limited Edition will get access on launch day, while others will have to wait as Specialisations are released over time. The Limited Edition also contains the UNSC Infinity Briefing Packet, which includes an armour customisation schematic, a blueprint of the massive ship itself, and insight into what it means to be one of humanity’s finest warriors: the Spartan-IVs. Looks like 343 Industries is going for broke with this franchise reboot sans Bungie. Bungie split from Microsoft in 2007 and 343 Industries was established in-house to develop the Halo intellectual property. Halo 4 is the first instalment of a new trilogy that may crossover onto the next generation Xbox. 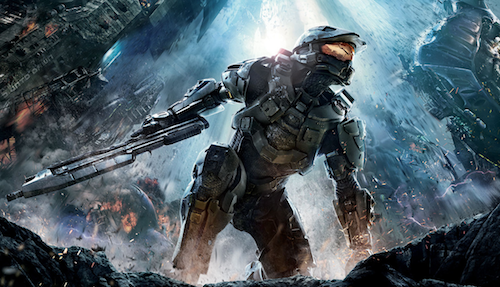 Are you looking forward to Halo 4 and the return of Master Chief?